Airlines worldwide have used DAMINO for decades for their Individual Textile Solutions and Service. DAMINO is one of a handful of companies worldwide to make complete production on their own. This ensures quality and service, and we have short lines to work in a flexible way. At the beginning of the production process, DAMINO works out solutions for their customers in their own design department. 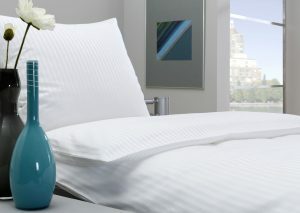 DAMINO produce Airline Bed Linen, Table Linen, Headrest Cover, Pillow Cover, Napkin, Laundry Bags and special items on request. 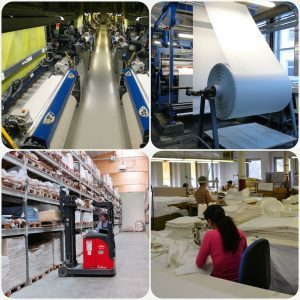 Work preparation, weaving, finishing, sewing and packing including logistic are all done by DAMINO. 140 people are working in a full shift system, 24 hours a day, 7 days a week. 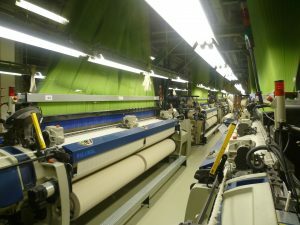 82 Jacquard weaving machines and 19 Dobby weaving machines belong to our company. 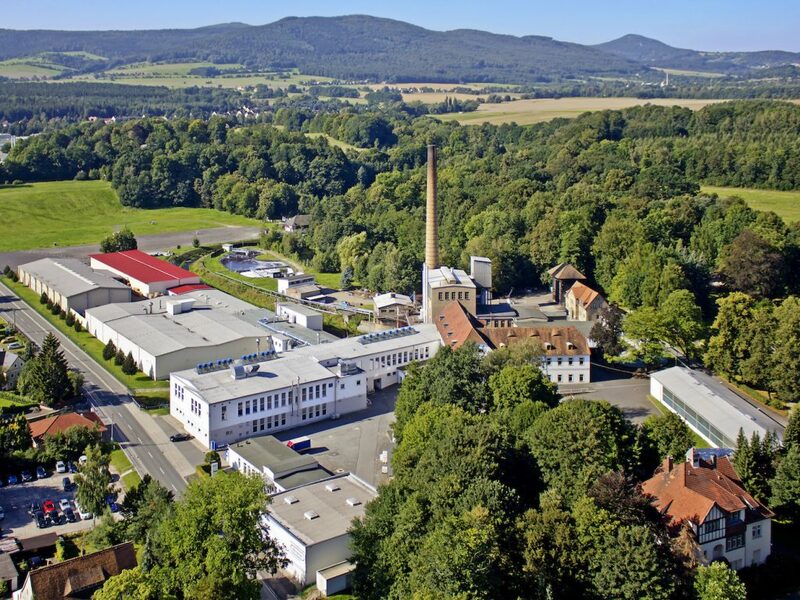 In Czech Republic DAMINO has the sewing department and employ another 170 people. 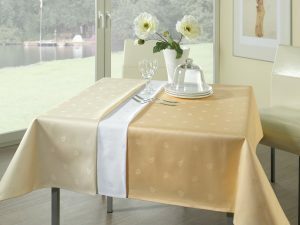 Bed Linen and Table Linen are also produced for International Hotels, International Cruise Lines or Train Companies. 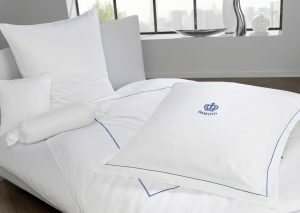 High Class Bed Linen products can be made in individual styles and sizes. Jacquard or Dobby woven, in colour or white. Whatever you need. 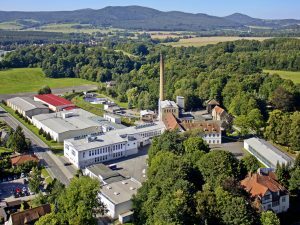 All items are chlorine fast and usable for the industrial laundry process. Damino produce customized textiles or special solutions like stitching, embroideries or oxford style which will enhance your bed linen. 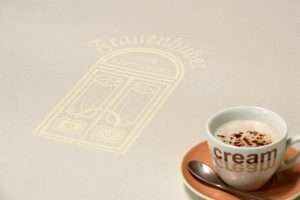 Personalised label and modern new designs are possible. 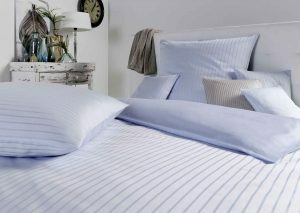 100% cotton, 100% Polyester, Trevira CS or different mixtures in material are possible. 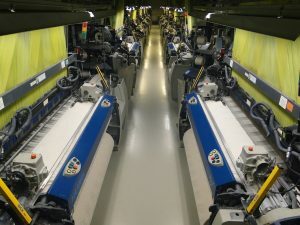 All items are Oeko Tex 100 certified. 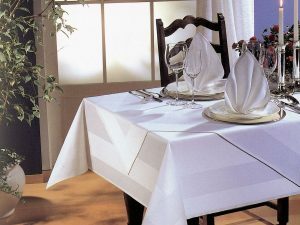 Top Class Table Linen, Trolley Cloth, Napkin and Headrest Cover, in high class construction and different materials are the basics for Airlines best service on board. 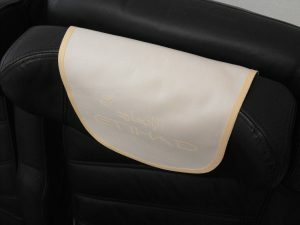 Interwoven Logos, Brand Label, Print and Embroidery are possible. With our own design department we can support each Procurement Team with new ideas. All items are chlorine fast and usable for the industrial washing process. All qualities are certificate with Oeko Tex 100. Based on the German DIN norm, we guarantee a very long life circle of all items. 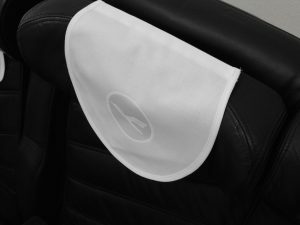 This is a special part in our product range. Very often Airlines are looking for special solutions in case of special problems. Damino has its own specialist team to create solutions. Ask us and give us the opportunity to create something together. You are looking for a solution to a problem, we have the experience to help.